It may sound strange, but believing that the next life is more important than this one actually helps us to enjoy this life more! 1. We have a clear purpose for this life: nearness to Allah (swt). Focusing your goal on the next life gives you a purpose in this life. Having a purpose inspires us to action and gives us a reason to live. We aren’t spending this life searching for a purpose. Fair in the eyes of men is the love of things they covet: Women and sons; Heaped-up hoards of gold and silver; horses branded (for blood and excellence); and (wealth of) cattle and well-tilled land. Such are the possessions of this world’s life; but in nearness to Allah is the best of the goals. (Quran 3:14-15). 2. We are less anxious about getting everything in this life. “A (small) place equal to an area occupied by a whip in Paradise is better than the (whole) world and whatever is in it” (Bukhari). 3. We don’t live with fear of death. We know that in the next life Allah will reward us for our good deeds and treat us with generosity and fairness. We know that death is just the beginning of the true life. Many people live in constant fear of death because they think it’s the end of their existence. Those who believe and perform good deeds, We shall indeed grant pardon to them for their misdeeds and reward them according to the best of their deeds” (Quran 29:7). 4. We appreciate our blessings more. Because we know that this life is imperfect, we don’t have high expectations of this life. Because our expectations are less, we appreciate the small blessings more. “How excellent the affairs of the believer: his affair, all of it, is good for him; and this is not the case with anyone except the believer; if prosperity comes to him, he is thankful (to God), and if adversity falls on him, he perseveres patiently: so it is all good (for him)” (Muslim). 5. We face loss with more peace. Because we know that there is a next life, we hope to see our deceased loved ones in the hereafter. We accept the loss of anything with more peace because we know the temporary nature of this life. 6. Married life is easier. Money-related problems are the most common causes of divorce. Other-worldliness teaches us to live simply and to not base our happiness on material possessions. This view puts less financial stress on families and helps them to focus on what is important: worshiping Allah. 7. Our self-worth is not tied to this life’s possessions. We don’t need to have a “perfect” life, marriage or financial state to feel worthy. 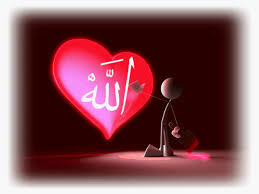 Our self-worth comes from our relationship with Allah. As long as we are on the path of Islam, we are more than enough. Plz pray for me as there is no way of income in my life.i have lost everything in life.i have to look after my wife n child.i m feeling like doing sucide. We will pray for you brother. May Allah give you ease. Please ask the people in your location for help. E online Quran is a registered online Quran teaching center with over 5 years of experience. We offer to Learn Quran Reading with Tajweed online, Memorize Quran, Learn tafseer and translation of Quran and learn tajweed rules online courses. Join us for guaranteed results with fluent English speaking tutors from Saudi Arabia and Pakistan.